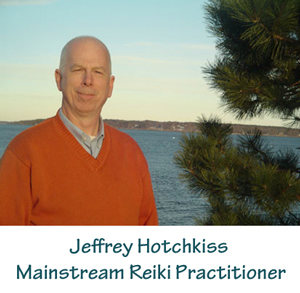 What does Mainstreaming Reiki mean to you”? Taking patients on my ambulance to the ER, and at least twice, seeing friends or family arrive and give them Reiki while awaiting the doctor. It’s as much, or more, about the everyday sharing between ordinary people, as it is about respected, professional practice. It’s about a day when it’s a household word, like yoga. That day is arriving quickly. Where have you practiced that you would consider mainstream? Nursing homes, hospitals, ambulances, corporate offices, police station, grocery store, sidewalk, high school talent show and silent auction, hair salon. Most fun of all, in the parks of New York City around 9-11 anniversaries. To mainstream Reiki, what steps can you suggest to the Reiki community? As Reiki grows, we are all on stage. Be a good citizen. It is your responsibility to be conscious of your own risk factors, and mitigate them. As one example, social workers in the U.S. have their code of ethics online – it’s worth reading them and thinking about how they might be relevant to your Reiki practice. Consider your intended audience. Learn their language, and speak and act in terms they can understand, so they can make a free and informed choice. Let be, those who oppose or restrict Reiki in the settings they control. There are plenty of others who are willing – eager – to hear and experience what you offer. What do you see on the horizon for Reiki? Wow. What happens when an idea, or a practice, a way of thinking, being and behaving, reaches a tipping point? A way that admits all creeds, religions and beings, that is easy to learn and practice, that is gentle, mindful and useful? A way that requires no special physical conditioning or abilities? A way that promotes peace, awakening, and deep healing? I can’t even begin to speculate.